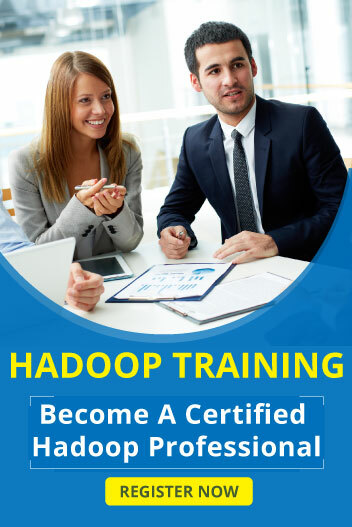 Hadoop is open source framework and Hadoop programming are written in Java so Java is important to learn Hadoop.Below Java topics are mostly used for Hadoop Programming. The array is a collection of a set of elements and we can store fixed set of elements in the array. The array is an index based and the first element of the array stored in 0 indexes. Many numbers of items grouped into one variable name that is called single dimensional array. In Multidimensional array data are stored in row and column bases index. Control statements are controls the order of execution in Java program. It executes a block of code if specified conditions are true.If the condition is false it skipped the execution of the block. if are executes a block of code if specified conditions are true.If the condition is false else block statements are executed. It executes one statement from multiple conditions.switch statement execution is based on user input.User input is not matched in switch condition the default block of code is executed. While loop is used to executes one condition at several times and a number of iterations are not fixed in this loop but this loop executes at least one time. Inheritance means derived one class from another class that derived class is base class.Base class automatically takes all values from that superclass.Superclass has many subclasses but subclasses have one Super Class. “Extends” keyword is used to mention the inheritance in Java program. Exception handling is a powerful mechanism in Java is mainly used to handle runtime error in java program. Serialization used to convert an object into a sequence of bytes and through into streams.Deserialization means convert stream object into normal java object.